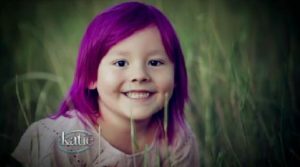 Fountain, Colorado — The parents of a six-year-old Colorado boy who was denied the use of the girl’s restroom at his local elementary school have filed a complaint with the state against the school district. Last year, Coy Mathis decided to stop living like a boy and become a girl. His parents state that he complained about wearing jeans and t-shirts, and gravitated more toward tutus and dresses. “[Coy] wanted to know when we were going to take him to the doctor, so that they would give him girl parts, so that his body would be a girl,” Coy’s mother explained. Therefore, Coy’s mom and dad then transitioned him into looking and dressing like a girl, and for a time, he was allowed to use the girl’s restroom at school. However, last December, the school district contacted Coy’s parents and stated that he would no longer be allowed to use the facilities with the girls, but must instead use the boy’s restroom or the teacher’s bathrooms, which are private. “Coy was born a male and at least some parents and students are likely to become uncomfortable with his continued use of the girls’ restroom,” officials wrote in a letter to the family. In response, Coy’s parents provided the school district with a copy of Colorado’s anti-discrimination law, which states that those who wish to identify with those of the opposite gender must be allowed to use the restroom of their preference. The school district still refused, so Coy’s parents pulled him out of school. Now, with the help of the Transgender Legal Defense & Education Fund, Coy’s parents have filed a complaint with the state’s Division of Civil Rights. They are also making the rounds on national media to publicize the matter. “We don’t want to put ourselves out there for the kinds of harassment and speculation that come along with media attention, but at the same time the school stigmatized her and we really felt we needed to hold them accountable for what they were doing,” Coy’s mother told reporters. Fountain-Fort Carson School District 8 is required to respond to the charges this month. District officials denied any wrongdoing in a recent statement issued to the media. The case is the first of its kind under the state’s anti-discrimination law.